* Know your plan. Shockingly, six in 10 survey respondents (59 percent) confessed to not knowing what their international plan rates were. Considering that the average week abroad for a family of four can be more than $7,000 if you don't plan, this could be a major setback when you return from that fun vacation! To avoid bill shock, seek out a plan that helps eliminate unexpected expenses. For example, T-Mobile ONE is designed with passport-holders in mind, and automatically includes texting and data at no additional cost in more than 140 countries and destinations. And if you travel to Mexico and Canada a lot, you'll be happy to know that high-speed data in those countries is included. To learn more about the plan offerings, visit t-mobile.com. * Use data to your advantage. Fifty eight percent of survey respondents reported being worried about not knowing the language in a foreign country and 66 percent are worried about getting lost. With the right carrier, and access to unlimited data, your phone can break down these barriers for you! Make sure you have the apps you need and a plan that lets you utilize those apps for everything from maps and navigation to translation technology. * Use Wi-Fi when you can. If you don't have a data friendly travel plan, put your phone in airplane mode and only use Wi-Fi when it's available. You won't be alone. Staying connected is such a concern that one in five (21 percent) smartphone users reported going to extreme measures, like eating at a restaurant they didn't like, just to use the Wi-Fi, or even illegally pirating strangers' Wi-Fi connections! So, take your family somewhere exciting this travel season and don't forget your smartphones! 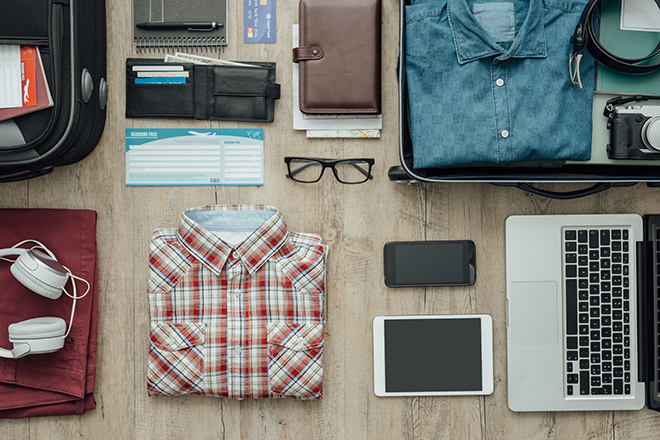 You'll be glad you have them while traveling, particularly if you take steps to keep your bill in-check.